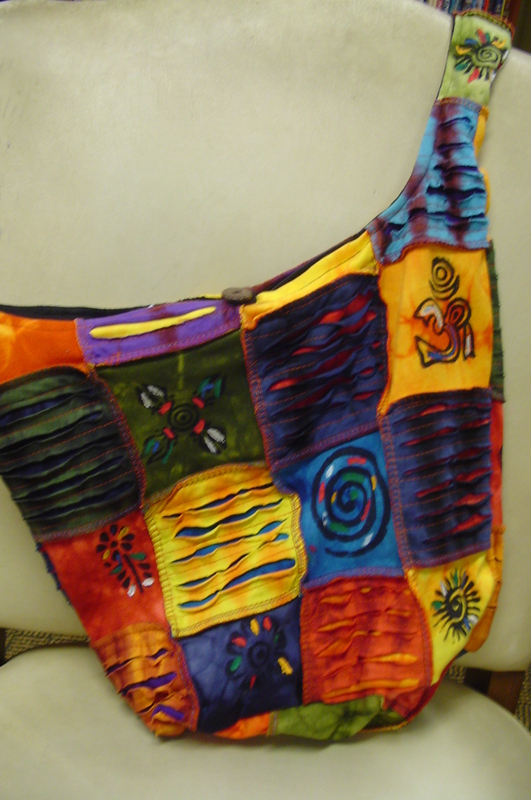 This bag is from Rising International which is a Fair Trade Company from Nepal. The women of Nepal work to make these items as beautiful as possible. The colorful bag has a long strap which has a cell phone pocket on it, a zipper inside the top of the bag and a button closure. This is one of our most popular bags in our store.